Have you seen the dragon? 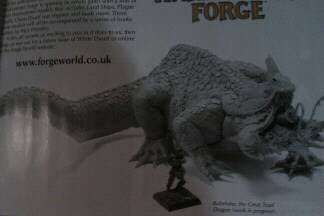 Bought white dwarf today an this pic was in it. It's looking massive. It's still work in progress. The afternoon I were at Kristian. Coffee and painting, a nice relaxing day. 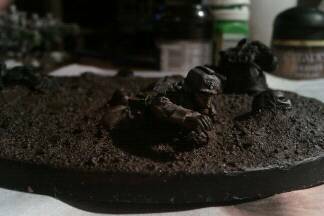 I painted the deathkorp soldier that will crawl away from Kristians Tomb Stalker. Also great to se you helping Kristian out with some soon to be dead 'umies! He will probably survive! He's no threat to such an evil steel monster. Guardsmen are only fearsome when they have there 99 friends with them. Some of my little friends do have other guns then lasguns. Just so that you know. What colour should the dead marines be? Any takes, friends?